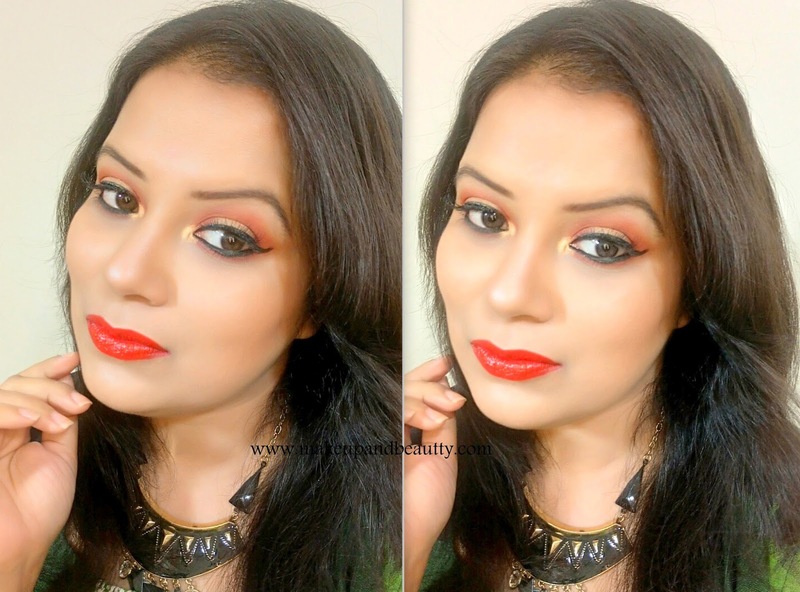 So today I am going to review the newly launched MAYBELLINE COLOR SHOW INTENSE CRAYONS. Maybelline has launched this COLOR SHOW INTENSE CRAYONS in 10 different shades. I picked up two shade from this entire range as these are all usual red, pink, orange shades (I am actually bored of reviewing same shades everytime from a different brand ...lol). Price:- Rs 450/- (now in a discounted price of Rs.383/- ) in Nykaa.com for 3.5ml of product. 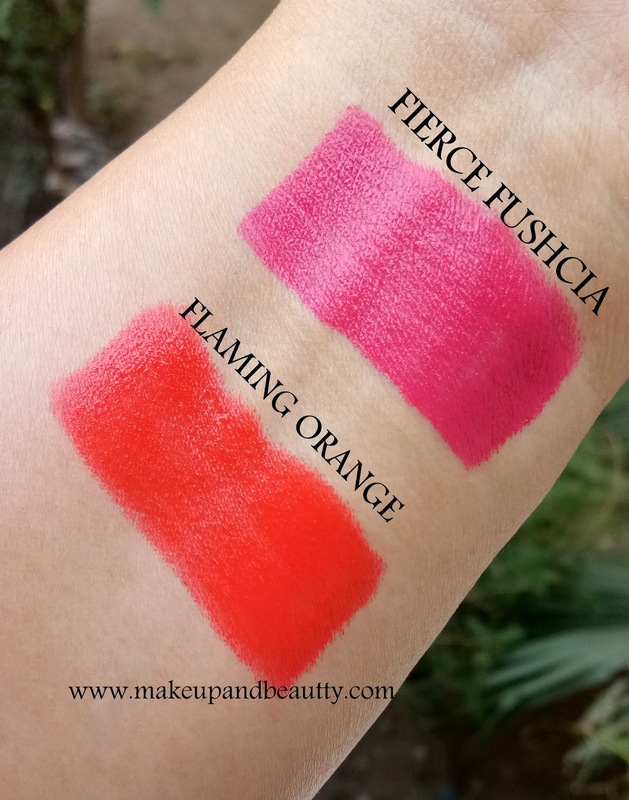 I picked up FIERCE FUSHCIA and FLAMING ORANGE. The crayons come in usual crayon kind of packaging like we have already seen in other brands crayon. The packaging wise it is very convenient as it is easy to use and carry. The crayons are supposed to be matte finish as claimed by the brand. So I was really excited to try it out. 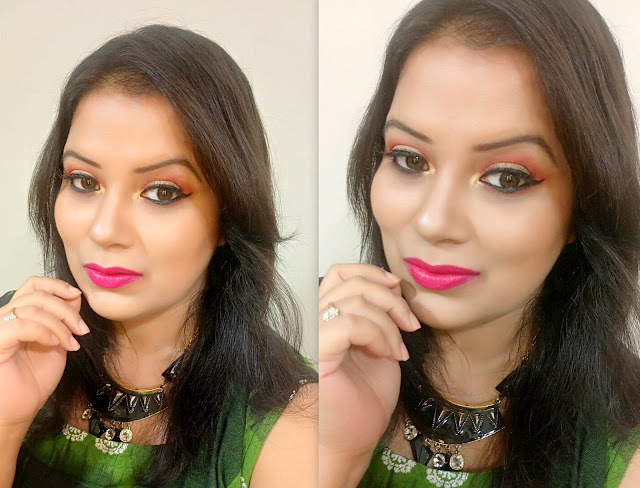 As I loved the powder matte range (reviewed here) and their creamy matte lipstick (reviewed here) range. But the moment I swatched it and applied it to my lips I found that these crayons are actually lip gloss with high pigments in a crayon packaging. But in all bad things the good things are these lip crayons are just perfect for people with dry lips because it will keep the lips moisturized. Moreover, as winter is approaching so I might reach towards these crayons more than other matte ones. So definitely it is a perfect crayon for all dry lips people or people who love creamy/glossy lipsticks. Overall I am ok with these crayons. 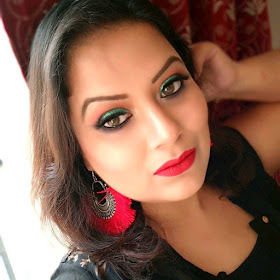 As I am a matte lipstick lover so might be I don't buy any more shades in this range. But definitely, people who love creamy /glossy lipstick they should try out this one for sure. That's all for today. I am signing off...I will catch you soon in some other posts.